As the Head of Market Awareness at Naked Data, I love finding out about how our clients are solving their data problems with Jedox, as well as putting the spotlight on our consultants and their innovative solutions. Currently living in Germany. How to unify visual analytics with planning is a growing question in business intelligence. I find out in this CEO interview with on how Jedox are solving this and bringing innovation in the cloud. Former Microsoft exec Kay-Ingo Greve came on board as Jedox CEO early 2015. I discover how they are focussing on professionalization and solutions to sustain alignment during their rapid global growth. Sam Perrin, Naked Data: What was it that attracted you to Jedox? Kay-Ingo Greve, CEO, Jedox: Jedox is a fast growing, energetic company, with a lot of innovation in its DNA and in a market which is growing. Jedox has some fairly unique and advanced technology and now the strong business-driven focus is a perfect complement to provide greater value for customers. Coming on board gives me the opportunity to help grow Jedox internationally and expand its customer and partner reach. You’ve been here almost four months now. What are your impressions of the culture at Jedox? Kay-Ingo Greve: We’re young, energetic, and diverse. There’s an ambitious, glass half-full, can-do attitude. That’s my first impression. My second impression is that there’s a real desire here to bring our clients clarity, focus and empowerment – by not only making BI easy but also my making working with Jedox a unique experience. It’s been a huge year already – with our Production Intelligence 4.0, our SAP Business Package, Social Analytics and acquiring the mobile analytics reboard platform. And that’s just the first half . We’ve got big things to come. By this point you’ll have reviewed Jedox’s position in the BI landscape quite well. What are Jedox’s greatest strengths? Kay-Ingo Greve: It’s a strong, highly scalable platform. Companies invest in analytics to reduce costs, increase revenue, and improve compliance. Jedox helps you achieve all three. That’s the first strength – profound flexibility. You can look forward, with planning as well as understand the past. This enables clients to get the solution that they really want, not just the best that they can manage, which is often the harsh reality with more traditional BI. The second strength is time-to-value. It starts with pre-sales being able to deliver a PoC (Proof of Concept) in hours rather than days. This is because Jedox is designed from the ground-up to be easy to use. And Jedox is unified – you can plan, report and analyze seamlessly. So there’s the power of consulting being able to implement solutions in a matter of weeks rather than in months. That’s what differentiates us from the slower, more monolithic competitors. We also have strengths in being able to deliver what the customer wants on-premise as well as in the cloud, which differentiates us from the innovative, but less experienced, cloud-only players. You started at Microsoft in 1993. How do your first few months at Jedox compare to those at Microsoft? Kay-Ingo Greve: It’s a different role, but in many ways it’s similar to when I joined Microsoft. We’re on a steep acceleration curve, and we need to keep ahead of the rapid growth. I can see a lot of creative people in the company working very hard to help us scale. And everything is being done from scratch. When I joined Microsoft everything had to be done from scratch, as nobody had done it before. It’s the same here, Jedox being a very innovative company with new approaches. We need to make sure we keep pace, and continue to be creative at the same time. The Jedox partner ecosystem includes over 140 partners worldwide. What are its biggest strengths? Kay-Ingo Greve: The breadth of the partner ecosystem. We have partners in so many regions with so much professionalism and domain expertise. It’s a great accomplishment of our sales team in the past few years who have been able to attract so many dynamic, ambitious partners. Leveraging and activating that ecosystem will enable us to be very aggressive in key markets. In the US and Europe, where we are already very strong, as well as in Asia, where we have a lot of potential to grow and expand our ecosystem. APAC, North America and Europe are the big geos. And within these geos we’ll be very focused, and make sure we don’t lose scope. We need to win in APAC. When I think APAC, I think China and South-East Asia. Empowering companies with unified planning on the Cloud is key there. Japan as well. It’s a highly mature market and different from the Chinese market, which is increasingly cloud-driven. So we have different go-to-market strategies, and leverage. Where would you like to see Jedox in two years in Asia? Kay-Ingo Greve: We should have multiple times the revenue we have today. For example, China’s market is very favorable towards German innovation. I would say that the single biggest player there is IBM, and we should never lose against IBM as they are selling mainly their consulting teams. So German engineering is still highly respected? Kay-Ingo Greve: Yes. Now I’m not saying that because I’m German, I’m saying that because I’ve lived and travelled around the world and have done business with a great range of people from different cultures and countries. I’m always surprised at the respect and gratitude for the way German companies act. A handshake is a handshake. That integrity counts for a lot in many cultures. What are some of the key strategies you’re looking to bring to Jedox? Kay-Ingo Greve: Three core strategies. One is professionalization. We’re a company that is growing very rapidly, so the challenge is to ensure our business processes keep up. We need to be rigorous in really being professional. We need to keep operating as a company as a whole, even as we expand globally, making sure we keep our different entities unified in a way which in non-disruptive to our clients and employees. The second strategy is solutions. This builds on our “business-driven” approach which empowers the line of business. We need to maintain a solution focus, a customer focus, a value-proposition focus. This means having the next layer of innovation in our platform on one hand, and how we go-to market and engage clients on the other. Finally, globalization. Globalization means we operate in a consistent, but localized approach to take the global clients from one region and support them equally as we move from one country to another. It means supporting global partners. Being able to translate and expand our presence within the companies we work with. Now many larger organizations that are starting to move away from traditional monolithic BI and are opting for more dynamic solutions like Jedox. Why do you think this is gaining momentum? Kay-Ingo Greve: IT and business users had different expectations for solutions. Traditional solutions addressed corporate standards, but weren’t flexible enough to help smart people in companies get their job done. IT and end users diverged in how they delivered business value across the organization. That’s the number one factor. The other is simple – the world has changed. It’s the digitalization of business, and not just IT. Every business leader has a very deep connection to the internet, the cloud, to software and data-driven processes. Business users have very specific, well-articulated demands on what they need, what they don’t need, and when they need it. They can’t wait for two years for implementation, while their competition gets in front. They need to be fast and agile – and vendors need to deliver. As consumers, we like products that are convenient, and personalized, at a fair price. It’s not so different when we go to work in corporations. By focusing on ease of use, Jedox are changing something that used to be only accessible to a few technical experts. Ultimately people bring BI into their work and make it successful. Jedox empowers business users by ensuring they own the solution. How do we confirm with IT that Jedox also makes their life easier? Kay-Ingo Greve: We help ensure IT are comfortable with how the technology platform works. This may be security, single sign-on, data-privacy and protection related, or data-integration and operating-environment related. These topics aren’t so relevant for business users, but are critical for IT managers. We’re helping IT, ensuring that the checklist in bringing a solution into the company is fulfilled. We’re even strengthening IT in introducing a platform which enables multiple technologies to integrate seamlessly. That’s what IT wants, they don’t want any disconnected, siloed solutions. Jedox helps IT consolidate infrastructure, security, data intelligence, cloud and mobile BI. There’s no need for a separate planning system and a separate data discovery platform when you can use the same tool, the same user interfaces and the same unified security model. Jedox is really tightly unified which makes it a lot more robust than a lot of traditional solutions which have integrated multiple software bases over the years. We have a lot of support for IT people, we can empower them to deliver a fast and quick solution for the business user. Years ago, if you had put a solution like Jedox next to IBM or SAP, a CXO might have selected the company rather than picking the best solution for the job. This has changed. What do you think has caused this progress? Kay-Ingo Greve: If you had asked IT or a CSO years ago to implement a cloud-based CRM system like Salesforce, and Siebel was the alternative, it was the same kind of conversation. The question is what’s the value for the customer at the end of the day? percent of IBM revenue, and an individual product can be acquired and quietly removed from the market. We’ve seen this many times. When you have an organization like us, we live and breathe planning, reporting and analytics and support the highest standards of BI to innovate every year for our clients. Our clients stay with us because they love our solution, and because we provide great support. Changing solutions isn’t as much of a financial risk as it once was. When we can demonstrate results in weeks, the Return on Investment is high. 98.7% of our clients recommend Jedox. So it’s not a risk you’re taking any more, to adopt a more agile solution. It’s actually a smart approach to realize the business benefits and ROI. We are superior compared to the big guys, who are still putting a lot of consultancy tax on top of the solution. We have a very small consultancy footprint to be able to make the solution really work. Where would you like to see Jedox in 2 years? Kay-Ingo Greve: An even stronger presence in multiple markets, with or own sales team supporting a strong partner ecosystem. We will have a big chunk of our clients in the Jedox Cloud, supporting and even bridging between on-premise and cloud. And we will be an even more global company, founded on a German engineering excellence, yet truly embracing our global nature. Can you see any roadblocks or inhibitors? About Jedox: Jedox is a leading provider of Analytics and Performance Management. Jedox unifies planning, reporting & analytics so business users can manage corporate performance. Jedox consistently rates the easiest to use and provides unique big-data capabilities for planning using massive parallel processing GPU acceleration. Jedox supports over 140,000 happy users in 125 countries, with a 98.7% customer recommendation. This entry was posted in Stories from the Coal Face and tagged CEO, Jedox on May 20, 2015 by Sam Perrin. There has been excitement building around the upcoming Jedox 5.1.With so many new features it could be called Jedox 6. One ​very powerful addition is the upcoming marriage of Jedox and R.
I’ve seen the enthusiasm among Jedox partners and clients​, ​but what benefits does R bring to the business place of a Jedox user? As a prelude to Chris Mentor’s technical articles on Jedox 5.1 (starting soon), I speak here with Vladislav Malicevic, Head of R&D at Jedox, on what happens when the world’ s most innovative and easy to use BI solution meets probably the world’s ​most powerful statistical language. ​Sam Perrin: What is R? Vladislav Malicevic: R is a language and environment for statistical computing used for complex predictive analysis. With a community of over 2 million, you find R used from credit risk analysis in financial institutions, to reducing customer churn and optimizing your marketing spend. This entry was posted in Stories from the Coal Face and tagged analytics, Business Intelligence, heuristic, integration, Jedox, language, predictive, r, statistical on April 30, 2014 by Sam Perrin. When you think of Jedox, you may be forgiven for thinking Finance. Budgeting. Consolidations. Board reports. But Polymathic Systems apply Jedox as a performance management tool for radiologists. The radiologists used to go through a manually-intensive process for any analysis. Now using Jedox they have real-time analytics flowing from Diagnostic Imaging systems, instantly analysing resources and workloads to better manage systems and staff rosters that save lives on a daily basis. 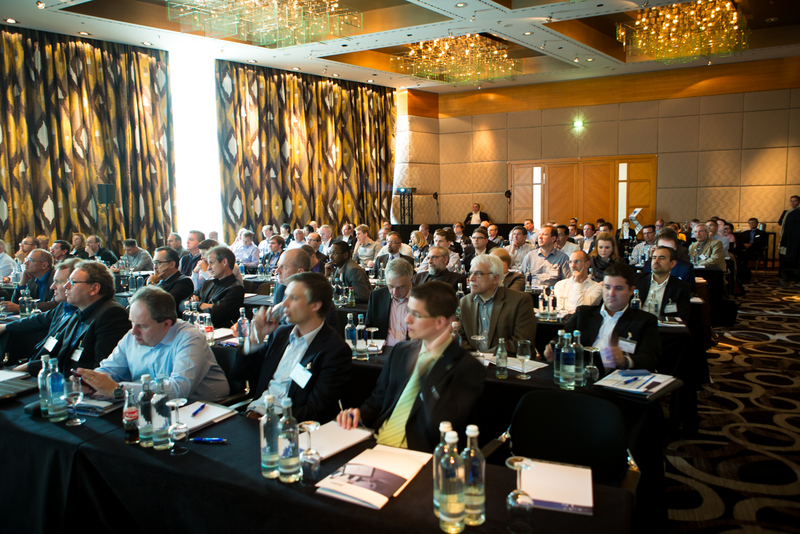 This entry was posted in Jedox Events and tagged Jedox Partner Summit on April 12, 2014 by Sam Perrin. My first partner Summit was in Freiburg, back in 2012. Two years on, I find myself in sunny Mainz, a peaceful student town in west Germany, for yet another chance to interact with the people who are championing Jedox around the world. 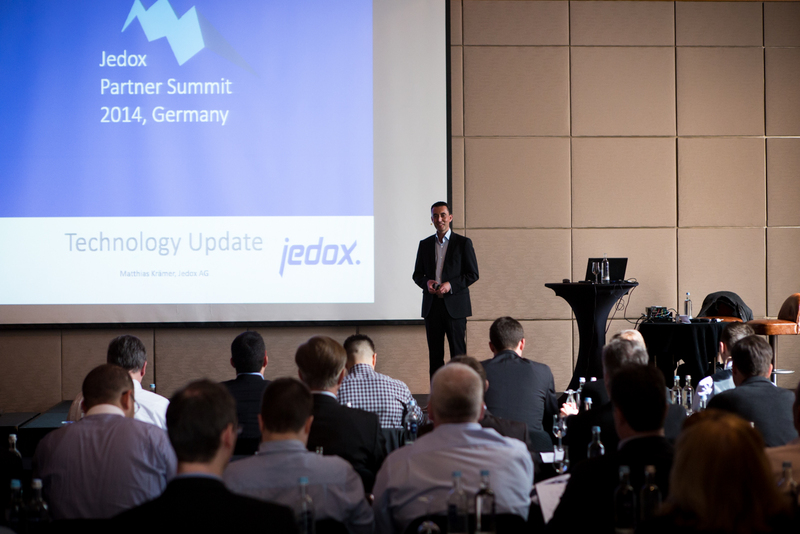 Let’s have a quick look at 5 lessons from the 2014 Jedox Partner Summit. With such a broad range of partners, it is little wonder the Jedox team have expanded the User Interface languages by such a degree. I’ve met people from the world over, from my own colleague in Finland to the hotshots of Washington to the South-American contingent, who are fuelling​ rapidly expanding economies by bringing Jedox to ​their growing markets. I can’t give away too many secrets at this stage, but I’m certainly excited for the release of Jedox 5.1. It always pays to listen carefully to your customers, and Jedox have certainly taken their advice. 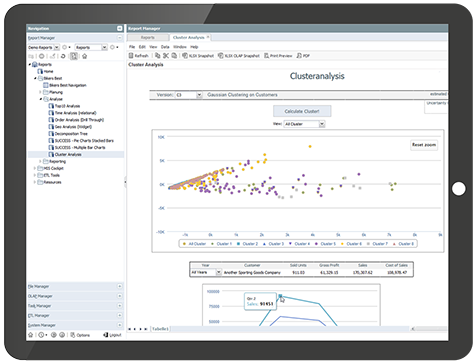 ​Jedox 5.1 looks great, has a very slick feel, with some powerful new analytics functionality. ​There’s so much in there, they could have call​ed it Jedox 6. And of course, there’s a few visually friendly additions too (hint: there will be colours). New partners everywhere. I feel as though I’ve only scratched the tip of the iceberg here. Question time pops up and as always, you’ve got your long-time Jedox partners (Coker Solutions, Mazepoint, etc.). But this year more than ever, you’ve got your “Hi, we’re new Jedox partners, and we’d like to congratulate…” popping up more and more. There are now more than 100 Jedox partners globally, and Jedox has grown by an average of over 40% annually over the last 3 years. There’s a real sense of progress here. You can feel the energy in all the Jedox guys. So many young, fresh faces, and you can feel their excitement at where the company is going. Jedox’s agility is really telling, and keeping them ahead of ​new technology ​curve​s;​ their ​new cloud ​edition is a great example. We’ve always been a flexible organisation at Naked Data, and it’s great to work with a​ team that adapt​s so quickly to changing markets. It’s always good to see hard work recognised, and the BARC 13 results certainly reward Jedox’s constant emphasis on innovation. Jedox won recognition as a leader in 7 categories, including user recommendations, Self-Service KPIs, and Performance, implementation and self-service BI support. Earlier in the year, Jedox also took home the 2014 IT Innovation Award at the CeBIT 2014, the world’s largest information and communication technology trade fair. This entry was posted in Jedox Events and tagged Jedox Partner Summit on April 8, 2014 by Sam Perrin.